We will miss you! Four words that said everything that needed to be said: We are not vanilla. We are not for everyone. You have plenty of choices, and perhaps we are not a good fit. You are not here so we can be more like you; you are here so you can be more like us! Coaches, haven’t you ever wished you could repeat Herb’s response to an athlete or a parent who simply refuses to buy in? Parents, have you ever felt like you signed up for one thing, but then were delivered a completely different experience? 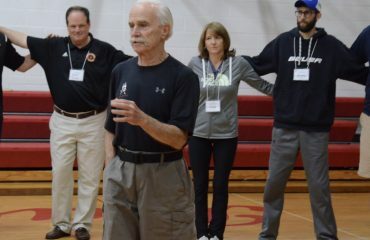 Don’t you wish your sports organizations laid out who they are and what they do ahead of time, and then (and this is where many organizations fall short) held everyone – coaches and board members included – accountable for being those things? It is high time our youth sports organizations started demanding more of themselves, their coaches and their parents, and started building values based cultures on every team, on every sideline, and in every organization. It’s time people started getting their money’s worth, and holding those parents, coaches and administrators who don’t get it accountable! If you keep reading, I will teach you exactly how this is done on a team by team, season by season basis. For many years I wasn’t intentional about creating the culture on my teams and in the organizations I ran. 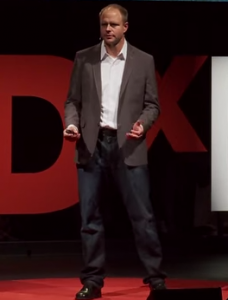 I failed to clearly define how we did things and what the expectations were. I was very intentional about our fitness as well as our technical and tactical preparation. But culture, unfortunately, did not get the attention it deserved. I would always leave it to chance, hoping for a good group of athletes that would just get along and perform well. Great cultures in business and sport have a set of clearly defined and articulated core values. The team members know what success looks like when they are winning, and when they are losing. These values are concise, believable, and achievable. Team members are held accountable for them and rewarded for epitomizing those values. Most importantly, every team member, every coach –and in youth sports, every parent — should be able to tell you what those values are. Core values are the essential building blocks of not only championship cultures, but the best youth sports organizations. They are not a page on a website or a sign on the wall. You may see them there, but unless they are on the minds of the team members, they are not worth the paper they are printed on. They are your very essence, your very being, and epitomize everything you do. They are evident in training, in games, and in the locker room. And this does not happen by itself. Creating culture is not a single event. It is a process, and it is, above all else, an intentional series of events for those teams that build a championship culture year after year. Are you intentional about your culture each and every season, or are you like I was for so many years, leaving the team culture up to chance? Some coaches are very intentional about culture, and it becomes so good that they forget that it is something that must be cultivated every season. For example, in their great book You Win in the Locker Room First, Jon Gordon and former Atlanta Falcons Head Coach Mike Smith talk about creating a championship culture with the Falcons. It was a culture which led to five years of success. Then, Coach Smith tells how he thought the culture would eventually take care of itself, so he stopped doing all the small things. Two years later, he was fired. Culture is a process, not an event. For those who say this is mamby pamby stuff, I only point to coaches who have created, and speak openly about creating the right kind of culture. Pete Carroll with the Seattle Seahawks talks about it in Win Forever. John Wooden talks about it in Wooden on Leadership. Pat Summitt talks about it in Sum it Up. James Kerr talks about the intentional culture of the New Zealand All Blacks in Legacy, the best book on creating a championship culture I have ever read. The list goes on and on. Culture trumps the Xs and Os every time. So how does one go about creating culture on their team, or better yet, in their club or youth sports association? Our speaking team works with dozens of organizations, and thousands of coaches every year, teaching them how to do this. You must establish some values, live those values, then teach those values, and finally, reward them. If you are coaching a team, you can do this at your next practice. It will only take 20 minutes, and it will transform your group. Many coaches will say they don’t have time for this stuff. A few smart ones will do it and will be blown away by how it transforms their team. I first learned about this from Coach James Leath, Head of Leadership Development at IMG Academy and long time youth sports coach. I have since taught this to thousands of coaches and used it with my teams as well. As you will see in the image below, I recently did this two months ago after being asked to take over my daughter’s 12U soccer team. Gather your athletes and ask them to give you adjectives that describe a great teammate. Bring a piece of paper with you and write them down (see below). You will come up with 10-15 words or phrases, things such as hard worker, positive, fearless, encourager, committed, and more. Have your athletes sign their names and commit to being the type of teammate they described above. The coaches must sign as well, as they must make the same commitment for it to be real. Be sure every team member and coach makes this written commitment. You now have a set of team values that everyone has made a commitment to. But you are just getting started. Take a photo of your values and send to everyone on the team. This includes parents. 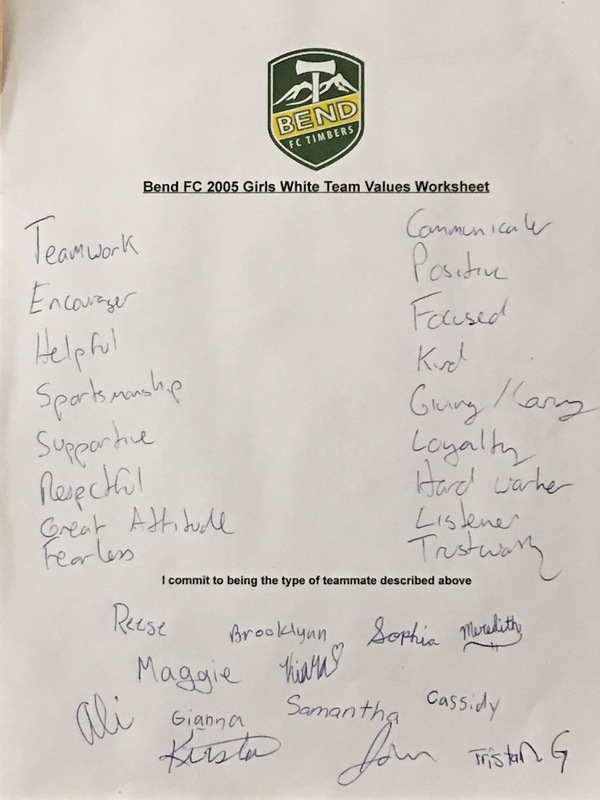 Let them know you are not simply teaching soccer or basketball, but you are teaching about values, and these are the values your team has asked to be held accountable for. Ask them to not only talk about how was practice, but what was the value you learned today. Hold them accountable for the same values their children have been asked to adhere to! Think this will set you apart from most sports programs? Every practice and game, have a value of the day. Take for example “fearless.” At the beginning of training, ask the team to define what it means to be fearless. They will come up with ideas such as “don’t be afraid to try new things” and “don’t worry about making mistakes” and “encourage your teammates when they try to make plays even if they don’t work.” Your team has just described what it means to be fearless. If you have a markerboard available, have your athletes write what that value means to them. 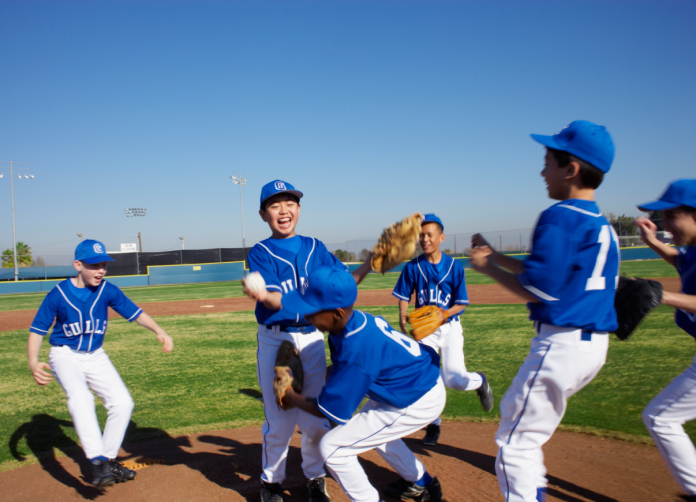 During practice, catch your athletes epitomizing the daily value. All athletes need recognition, relevance, and a way to measure their contribution, and catching them epitomizing your team values is a way to ensure EVERY athlete gets these things. Not everyone can score all the goals, or make the saves, but anyone can be fearless. “Maggie, I see you trying to do that turn we worked on, that is being fearless. Keep up the great work.” You think Maggie will keep trying to learn new things? You bet she will! Also, her teammates will hear her being praised for being fearless, and do the same. After each session, redefine your value, and ask team members to to recognize each other for epitomizing that value. This is huge. Give your athletes the opportunity to catch each other being good, and as the coach, make sure that at least once a week, you, your staff, or your team is recognizing everyone. If an athlete is not working hard, or being fearless or focused, then coach that, but if they are, make sure you praise them for it, because it is something they control. I am amazed how my team now asks me to give them time to recognize each other. It helps end practice on a high. Finally, reward your values. Not just at the end of training, but at the end of the season. Forget the MVP, and start rewarding kids for the very things they asked to be held accountable. Give a “Fearlessness” award, or a “Hard Worker” or “Positive Attitude.” These don’t have to be trophies or medals; it could be a pair of crazy tie dye socks as James Leath used to give out. It could simply be an end of season speech. Just be sure that throughout the year, and at season’s end, you reward the things you all committed to being. It makes them more real. And it makes them worth being. I cannot stress enough how well this works. It creates athlete buy-in that makes your teams better. It gets parents on board. It creates accountability. 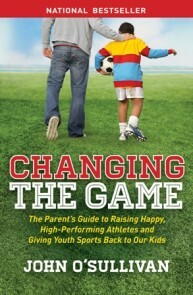 And it allows sport to intentionally teach important lessons that go far beyond the field. If you cannot find five minutes per practice for that, coaches, you are in the wrong line of work. If you are with a school or youth sports organization, imagine if you had your teams do this next season, even if you only did it once a week. Imagine if you collected these and came up with a list of the 4-5 most important values across all your teams. Imagine of you took those and incorporated them into your mission statement, and adopted them as your club values, building from one season to the next. Imagine if you started to teach them as a club, to each and every team, and to each and every family. Do you think that would make a difference in player retention and satisfaction? Do you think that would help you attract the right type of families to your organization? You bet it would. If we are going to truly change the culture of youth sports, we can do it team by team, and club by club. We can do so by telling a small group of people who are not in it for the right reasons that perhaps this is not for them. We can build values based organizations that teach far more than sport, and do just as much to develop the child as the athlete. In the process, you can teach individuals how to work together cohesively, all in pursing the same goal. More wins. More development. Better environment. And get rid of the current environment that poorly serves so many. Good luck, and please email us or post below and let us know how this goes.